Description: Thomas Carlyle (1795-1881) was one of the most influential authors of the nineteenth century, and his essays and historical biographies led to him being regarded for much of the Victorian period as a literary genius and eminent social philosopher. This two-volume work, published in 1881, is a collection of Carlyle's reminiscences, which were edited by his friend, the historian J. A. Froude (1818-94). In 1871, Carlyle had given Froude a collection of his own papers, including these sketches, and of those belonging to his deceased wife, Jane, to be edited and published after his death. Froude - who was simultaneously writing his two-part biography of Carlyle (also reissued in this series) - had them ready for publication a month after Carlyle's death on 5 February 1881. 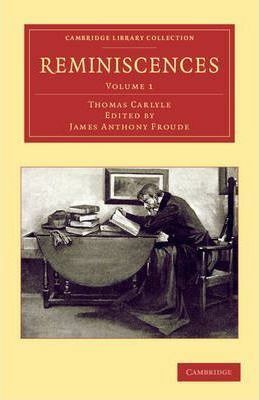 Volume 1 contains Carlyle's reminiscences of his father, James, and of Edward Irving, a close friend from his early years.